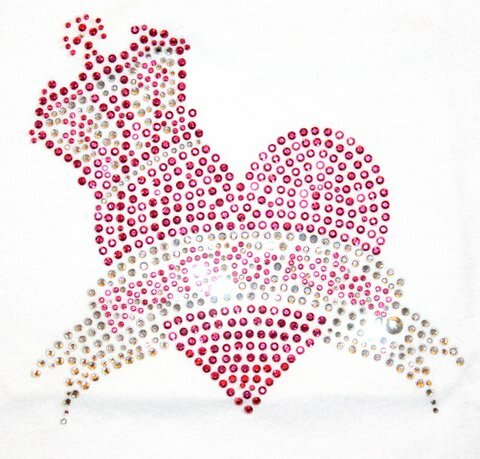 This beautiful short cap sleeve by Beauty for Ashes Boutique features rhinestone crystals in clear silver and hot pink Heart with Crown. The logo sparkles at every angle. 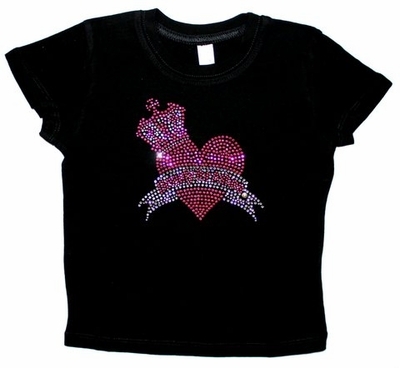 In elegant ebony or blanc these t shirts are great for baby bling! All shirts are prayed over and are anointed! Designed and Printed in the U.S.A. The measurements for actual lengths of the material; please note these are estimates and not exact; they might vary very slightly. 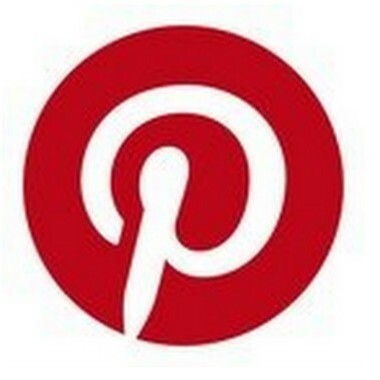 The bling logo is very beautiful. Photos do not show the amazing look. The banner features 'Beauty for Ashes' in writing with the R at the end.